Putting the pedal to the floor for a driver innovation, commerce, and new technology. 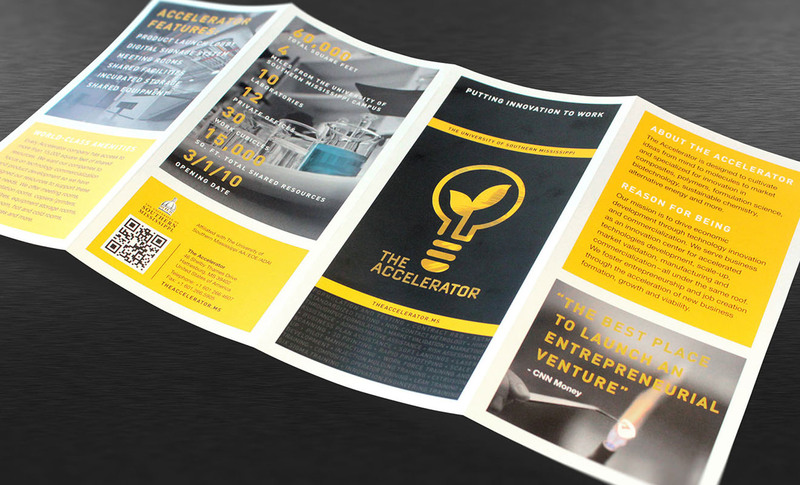 Developed by the University of Southern Mississippi, a world-leading research institution, The Accelerator provides private sector, entrepreneurial ventures with comprehensive services supporting innovation, testing, manufacturing, and commercialization capabilities. The result? Job creation, business formation, and sustainable growth. Boasting 60,000 total square feet of world-class facilities, equipment and laboratories, The Accelerator provides entrepreneurs and Fortune 500 companies alike with an ideal atmosphere for igniting growth through new product development, research alliances, and go-to-market support. Given our experience with start-up ventures, Domoto Brands was presented with the enviable task of refining brand communication outreach in order to attract even more talented entrepreneurs and technology ventures to The Accelerator. We conducted in-depth discovery with the client to understand all of the attractive benefits, capabilities, and support services available under one roof. We then sought to understand the intangible variables that differentiate The Accelerator from other business collectives or incubators, such as vicinity to a major research institution, partnership and collaboration opportunities, value-chain spanning expertise, and an overarching entrepreneurial culture focused intently on technological and scientific innovation. 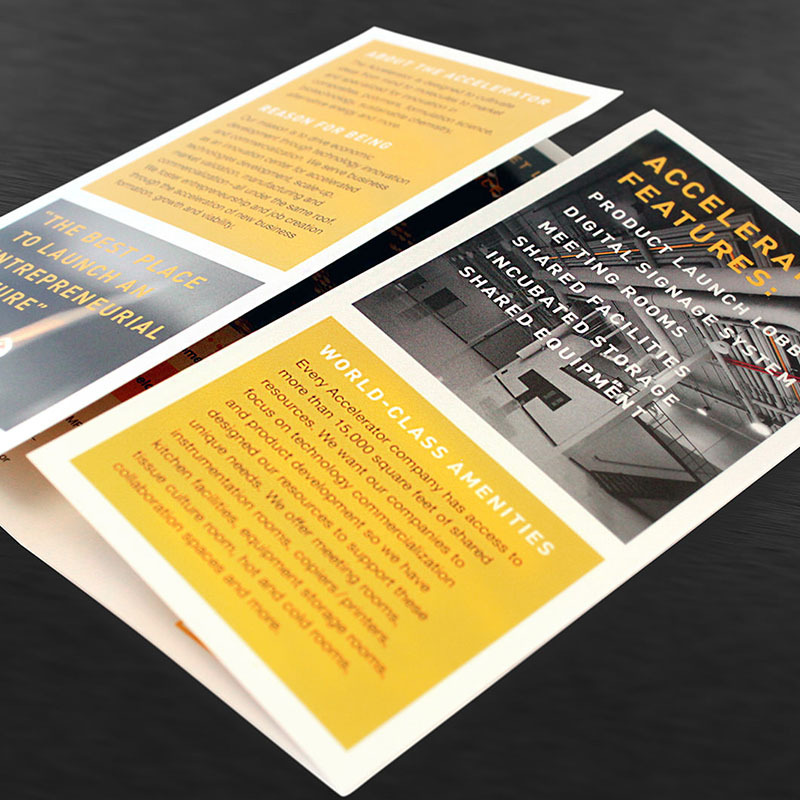 Our findings coalesced as we reimagined The Accelerator website to effectively highlight value-proposition drivers such as facilities, services, and tenant amenities. Interested candidate companies could easily acquire more information and apply quickly using conversion-friendly features. Domoto also created a login-protected user backend portal. 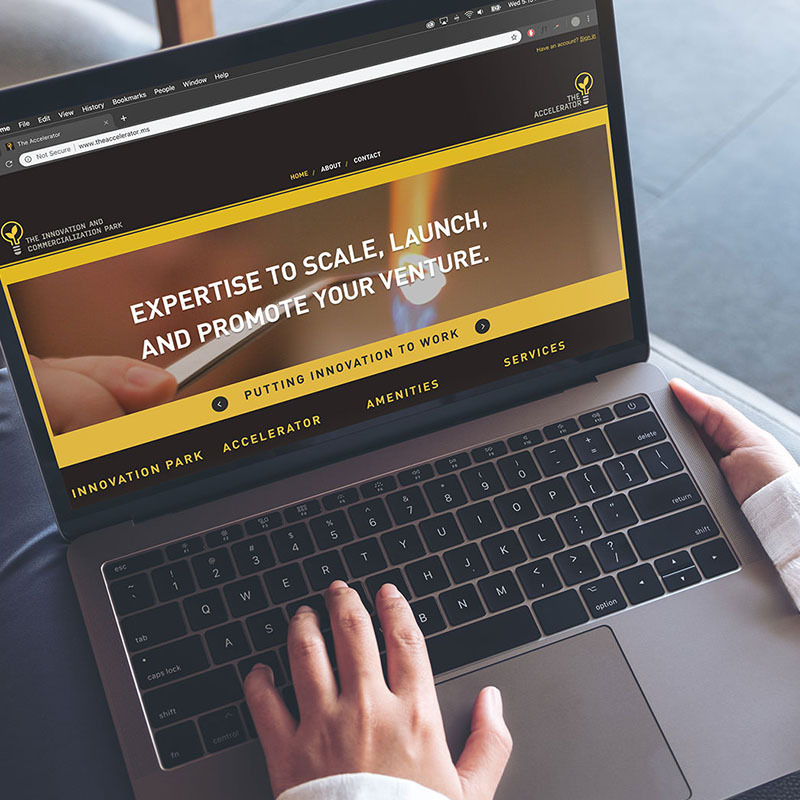 This offers registered users access to valuable resources and online tools, allowing them to maximize the value of The Accelerator’s offerings. Finally, Domoto developed marketing collateral as a companion to the website, employed at trade-shows, events, in-person meetings and as a leave-behind for future reference aimed at demonstrating how The Accelerator is uniquely suited to offer fully integrated services, from ideation to product commercialization.